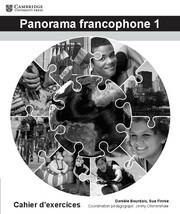 The Panorama francophone 1: Cahier d'exercices is a single workbook, sold in packs of five, designed to accompany the student's book - Panorama francophone 1 - and is designed to prepare students for the ab initio French course for the International Baccalaureate Language B DP programme. 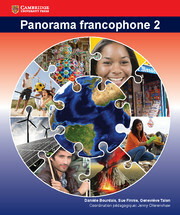 Panorama francophone 1: Cahier d'exercices is the first of two workbooks covering the two year course, containing exercises that give students extra practice in grammar and language that tie in closely with the student's book. 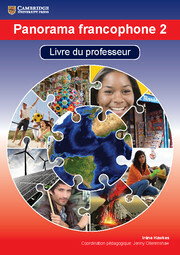 It is designed for students to write in, and can be useful as a homework resource. 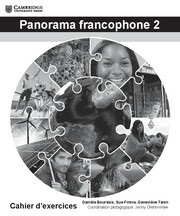 This workbook is only available for purchase in packs of five copies. 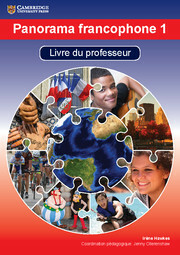 Units are tied very closely to the corresponding chapter in the student's book. 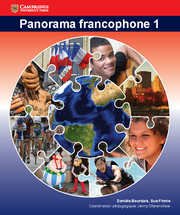 Exercises give further practice on grammar and language covered in the student's book. 2. Tu es comment ? 14. Le français dans le monde.